1. Micali S, Moore RG, Averch TD, Adams JB, Kavoussi LR. The role of laparoscopy in the treatment of renal and ureteral calculi. J Urol 1997; 157:463-466. 3. Hemal AK, Goel A, Goel R. Minimally invasive retroperitoneoscopic ureterolithotomy. J Urol 2003; 169:480-482. 4. Wickham JEA, Miller RA, eds. Percutaneous renal access. In: Percutaneous Renal Surgery. New York: Churchill Livingstone, 1983:33-39. 5. Goel A, Hemal AK. Upper and mid ureteric stone: a prospective nonrandomized comparison of retroperitoneoscopic and open ureterolithotomy. BJU Int 2002; 89(6):636-637. 6. Clayman RV, Preminger GM, Franklin JF, Curry T, Peters PC. Percutaneous ureterolithotomy. J Urol 1985; 133:671-673. 7. Keeley FX, Gialas M, Pillai M, Chrisofos M, Tolley DA. Laparoscopic ureterolithotomy: the Edinburgh experience. BJU Int 1999; 84:765-769. 8. Harewood LM, Webb DR, Pope AJ. Laparoscopic ureterolithotomy: the results of an initial series, and an evaluation of its role in the management of ureteric calculi. Br J Urol 1994; 74:170-176. 9. Turk I, Deger S, Roigas J, Fahlenkamp D, Schonberger B, Leoning SA. Laparoscopic ureterolithotomy. Tech Urol 1998; 4:29-34. 10. Gaur DD, Agarwal DK, Purohit KC, Darshan AS. Retroperitoneal laparoscopic pyelolithotomy. J Urol 1994; 151:927-929. 11. Hoenig DM, Shalhav AL, Elbahnasy AM, McDougall EM, Clayman RV. Laparoscopic pyelolithotomy in a pelvic kidney: a case report and review of the literature. J Soc Laparoendosc Surg 1997; 1:163-165. 12. Hemal AK, Goel A, Kumar M, Gupta NP. Evaluation of laparoscopic retroperitoneal surgery in urinary stone disease. J Endourol 2001; 15:701-705. 13. Ramakumar S, Lancini V, Chan DY, Parsons JK, Kavoussi LR, Jarrett TW. Laparoscopic pyeloplasty with concomitant pyelolithotomy. J Urol 2002; 167(3):1378-1380. 14. Goel A, Hemal AK. Evaluation of role of retroperitoneoscopic pyelolithotomy and its comparison with percutaneous nephrolithotripsy. Int Urol Nephrol 2003; 35(1):73-76. 15. Hemal AK, Gupta NP, Wadhwa SN, Goel A, Kumar R. Retroperitoneoscopic nephrectomy and nephrouretherectomy for benign non-functioning kidneys: a single center experience. Urology 2001; 57(4):644-649. 16. Kaouk JH, Gill IS, Desai MM, et al. 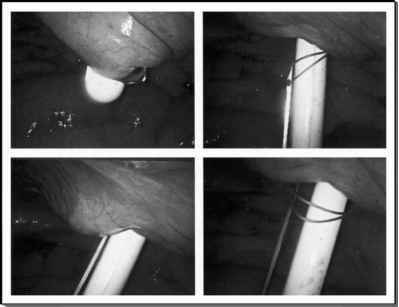 Laparoscopic anatrophic nephrolithotomy: feasibility study in a chronic porcine model. J Urol 2003; 169(2):691-696. 17. Skrepetis K, Doumas K, Siafakas I, Lykourinas M. Laparoscopic versus open ureterolithotomy. A comparative study. Eur Urol 2001; 40(1):32-36. 18. Badani KK, Hemal AK, Fumo M, et al. Robotic extended pyelolithotomy for treatment of renal calculi: A feasibility study. World J Urol 2006; 24(2):198-202. 19. Hemal AK, Goel R, Goel A. Cost-effective laparoscopic pyeloplasty: single center experience. Int J Urol 2003; 10(11):563-568. 20. Ansari MS, Hemal AK. A rare case of urachovesical calculus: a diagnostic dilemma and endo-laparoscopic management. J Laparoendosc Adv Surg Tech A 2002; 12(4):281-283. 21. Park H, Park M, Park T. Two year experience with ureteral stones: extracorporeal shockwave lithotripsy vs ureteroscopic manipulation. J Endourol 1998; 12:501-504. 22. Segura JW, Preminger GM, Assimos D. Ureteral stones clinical guidelines panel summary report on the management of ureteral calculi. J Urol 1997; 158:1915-1921. 23. Koch J, Balk N, Wilbert DM, Strohmaier WL, Bichler KH. Extracorporeal shock wave lithotripsy of upper ureteral stone: in situ versus push and smash treatment. J Endourol 1991; 5:195-196. 24. Clayman RV, Surya V, Miller RP. Percutaneous nephrostolithotomy: extraction of renal and ureteral calculi from 100 patients. J Urol 1984; 131:868-872. 25. Liong ML, Clayman RV, Gittes RF, Lingeman JE, Huffman JL, Lyon ES. Treatment options for proximal ureteral urolithiasis: review and recommendations. J Urol 1989; 141:504-509. 26. Hemal AK, Wadhwa SN, Kumar M, Gupta NP. Transperitoneal and retroperitoneal laparoscopic nephrectomy for giant hydronephrosis. J Urol 1999; 162:35-39. 27. Hemal AK. Retroperitoneoscopic nephrectomy for benign diseases of the kidney. Urol Int 2001; 67(2):121-129. 28. Casale P, Grady RW, Joyner BD, Zeltser IS, Kuo RL, Mitchell ME. Transperitoneal laparoscopic pyelolithotomy after failed percutaneous access in the pediatric patient. J Urol 2004; 172(2):680-683. 29. Hemal AK, Talwar M, Wadhwa SN, Gupta NP. Retroperitoneoscopic nephrectomy for benign disease of the kidney: prospective nonrandomized comparison with open surgical nephrectomy. J Endo urol 1999; 13(6):425-431. 30. Chang TD, Dretler SP. Laparoscopic pyelolithotomy in an ectopic kidney. J Urol 1996; 156:1753-1756. 31. Harmon WJ, Kleer E, Segura JW. Laparoscopic pyelolithotomy for calculus removal in a pelvic kidney. J Urol 1996; 155:2019-2020. 32. Turk I, Deger S, Winkelmann B, Schonberger B, Loening SA. Laparoscopic bilateral pyelolithotomy in a horseshoe kidney. BJU Int 2001; 88:442-445. 33. Troxel SA, Low RK, Das S. Extraperitoneal laparoscopy-assisted percutaneous nephrolithotomy in a left pelvic kidney. J Endourol 2002; 16(9):655-657. Department of Urology, Wake Forest University School of Medicine, Winston-Salem, North Carolina, U.S.A.
Laparoscopic stone removal currently has a limited role in the management of patients with nephrolithiasis. The indications should be similar to those for the pool of subjects who are candidates for open surgical stone removal. The latter comprises less than 1% of patients undergoing a stone-removing procedure, even at tertiary medical centers (1). Laparoscopic stone removal should not be undertaken in patients in whom shock wave lithotripsy or an endourological approach is anticipated to be successful. Failure of the aforementioned therapies may be a valid reason to consider laparoscopy. However, current endoscopic technology and the skills of contemporary urologists have made this rarely necessary (1). Laparoscopic nephrectomy is appropriate in subjects with a nonfunc-tioning renal unit due to a stone-related problem. While some have reported successful laparoscopic removal of xanthogranulomatous pyelonephritic kidneys, I concur with the author that this is not advisable in most cases (2). Laparoscopic partial nephrectomy may be considered for patients with stones in a polar area having no or minimal function. Combined pyeloplasty and pyelolithotomy is indicated for those patients in whom endopyelotomy performed in conjunction with percutaneous nephrolithotomy is not likely to be successful. These include patients with severe hydronephrosis, diminished renal function, and crossing vessels (3,4). Patients with isolated stones in an anterior calyceal diverticulum not accessible or too large for a retrograde ureteroscopic management may benefit from a laparoscopic approach. The same holds true for those having stones located in a type II diverticulum— one that communicates directly with the renal pelvis or an infundibulum. These cavities typically have no overlying renal parenchyma. Laparoscopy can also allow safe percutaneous access for removing stones in pelvic and other types of ectopic kidney (5). Laparoscopic ureterolithotomy is rarely indicated as retrograde and antegrade ureteroscopic approaches and shock wave lithotripsy are less invasive and highly effective. In most cases, it should only be employed as a salvage procedure. It has been undertaken in some countries where the aforementioned technology is not readily available. Percutaneous nephrolithotomy is the procedure of choice for the majority of patients harboring staghorn calculi (6). Anatrophic nephrolithotomy should be reserved for patients with extremely large staghorn calculi in kidneys with complex collecting system anatomy. While this has been done via laparoscopy in a porcine model and select patients with more favorable anatomy, it is not anticipated that this will supplant the open approach in the aforementioned setting. Laparoscopy will continue to play an extremely small role in the management of patients with nephrolithiasis. In addition, future improvements in endoscopic technology are likely to further narrow its application.